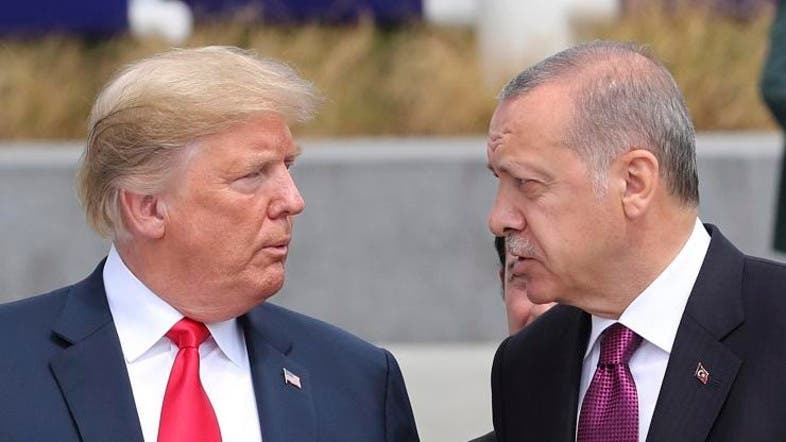 Turkish President Recep Tayyip Erdogan and US President Donald Trump spoke over the phone on Monday night about the creation of a “security zone” in Syria, the Turkish presidency said. The two leaders “discussed the idea of creating a cleared security zone of terrorism in the north of the country,” according to a statement by the Turkish presidency. The two emphasized the need to complete a roadmap regarding Syria’s border town of Manbij, as well to avoid giving any opportunity to elements seeking to block the planned withdrawal of US forces from Syria, the statement said. Trump also discussed with Erdogan the ongoing cooperation in Syria as US forces began withdrawing from the conflict, the White House said on Monday. Trump said he wanted to work with Turkey to address Ankara’s security concerns in northeast Syria and stressed that Turkey should not mistreat the Kurds or other groups “with whom we have fought to defeat ISIS,” White House spokeswoman Sarah Sanders said. Earlier, Trump threatened Turkey with economic devastation if it attacked a US-allied Kurdish militia in Syria, and proposed the creation of a safe zone.